The II-VI HCS series of collimated diode laser bars offer superior optical beam parameters with a low cost of ownership, plus easy installation and system integration. 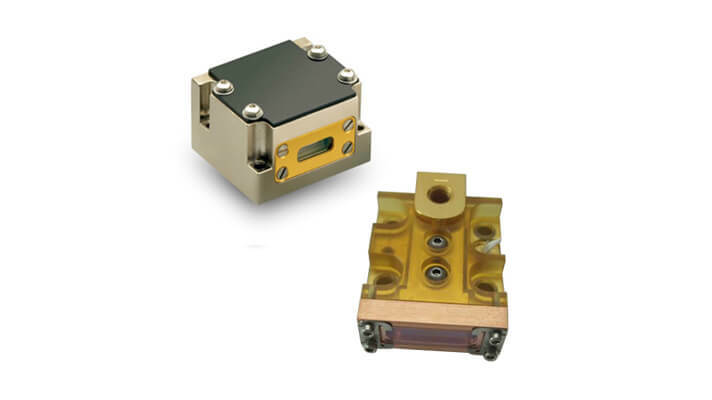 Collimated in the fast axis, and located precisely inside a sealed housing, the HCS diode lasers provide efficient coupling into end-user optics. Narrow beam divergence and small spot size also contribute to more efficient coupling. For more application flexibility, HCS series products are available with 50 W, 60 W and 80 W CW output powers. The HCS 808 nm diode laser bar has a fast-axis collimated beam, low divergence, Gaussian beam profile, and narrow beam waist. The fast-axis beam profile allows users to easily image the beam for printing optics. The combination of beam profile and spot size allows efficient integration into printing equipment. A narrow beam waist enables broader depth of focus needed for imaging applications. The watertight package for the 50 W and 60 W HCS collimated diode laser bar enables operation in a highhumidity environment. Designed and built to meet specific customer requirements, HCS diode lasers are built on the field-proven OPC heatsink platform that has demonstrated high reliability in thousands of hours of customer use.